59 other birds have this item in their bag or wishlist! What do you get the person who has everything? 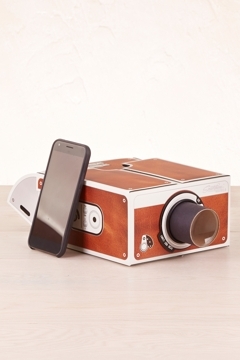 The Luckies of London Smartphone Projector from Hand Picked Gifts! Bought this as a Kris Kringle present for a colleague who has everything. I’m sure she won’t have one of these as it’s something a bit different but should be very entertaining. Bought this for a much loved, hard-to-buy-for adult nephew. Ultra modern take on an old fashioned idea. It looks terrific fun and I can't wait to see his reaction. Brilliant idea ! !